“Affiliates” refers to companies and divisions under the ownership of Dream On Me. 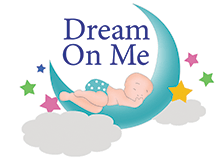 The Shopping Area is intended to facilitate the offering for sale of cribs, dressers, nightstands, armoires, hutches, accessories and other unique items by Dream On Me. A limited license is granted to you Dream On Me to view, download, and use a single copy of the Shopping Area solely for your personal, non-commercial use and only as an aid to shopping on the Shopping Area. The Shopping Area may only be used in a manner consistent with this purpose, and only within the context of the products, services and information set forth on the Shopping Area. Except as provided herein, you are not permitted to download (other than page caching) or change any portion of the Shopping Area, unless you have our express written consent. We reserve the right, at our sole discretion, to limit the number of items purchased per person, per household, or per order. These restrictions also may be applicable to orders placed by the same account, the same credit card, and also to orders that use the same billing and/or shipping address, or are placed by dealers. You will not be charged until your order is verified, payment authorized, and your order has entered the shipping process. Dream On Me reserves the right to decline your order at its sole discretion. Some of the reasons your order may be declined are if the goods are unavailable, if pricing is in error, or if there are problems concerning credit or an issue of fraud is detected. We will contact you if your order is declined or if we need more information. If your order is declined, we will credit your credit card for any amount charged with respect to such order. Returns of merchandise purchased through your local store are dependent upon their individual policies. If there are no authorized stores within your delivery area you are eligible for Direct Home Furniture Delivery in the 48 continental states. Due to the cost of shipping furniture, anything that you purchase and have shipped directly from Dream On Me is not returnable, unless damages are claimed at the time of delivery and approved for credit and/or replacement. If you are eligible for a Direct Home Furniture Delivery order, within three days of receipt of your order, Dream On Me Customer Service will contact you to confirm your purchase and give you an estimated date of delivery to your local distribution center. If your item is in stock, your order could take between 2 to 6 weeks for delivery. Once your furniture arrives at your local distribution center, our delivery service will contact you to schedule a delivery appointment with a 4-hour window. Additional charges will apply if you cannot accommodate the 4-hour delivery window. A trained and uniformed delivery team will arrive within your scheduled delivery window. Look over your shipment carefully. Damaged or defective items must be indicated clearly on the paperwork before the delivery service team leaves your home. Due to the cost of shipping furniture, you cannot return furniture once it has been delivered. Only damages claimed at the time of delivery will be approved for credit and/or replacement. Please note that complicated furniture assembly may require additional charges. Check with Customer Service if you have questions. We will respond to claims of copyright infringement, and will promptly process and investigate notices of alleged infringement by third parties and will take appropriate actions under the Digital Millennium Copyright Act (“DMCA”), Title 17, United States Code, Section 512©(2), where applicable. In keeping with the DMCA, notifications of claimed copyright infringement by third parties should be sent to Shopping Area’s designated agent noted below (the “Designated Agent”). If you believe that your copyrighted work has been infringed under U.S. copyright law and is accessible on the Shopping Area, please notify us by contacting the Designated Agent. In order to give effective notification of a claim of copyright infringement by a third party under the DMCA, you must send a written communication to the Designated Agent that includes substantially the following: (1) a physical or electronic signature of a person authorized to act on behalf of the owner of an exclusive right that is allegedly infringed; (2) identification of the copyrighted work, or, if multiple copyrighted works at a single online Shopping Area are covered by a single notification, a representative list of such works at that Shopping Area, that are claimed to have been infringed; (3) identification of the material that is claimed to be infringing or to be the subject of infringing activity and that is to be removed or access to which is to be disabled, and information reasonably sufficient to permit Shopping Area to locate the material; (4) information reasonably sufficient to permit Shopping Area to contact the complaining party, such as an address, telephone number, and, if available, an e-mail address at which the complaining party may be contacted; (5) a statement that the complaining party has a good faith belief that neither the copyright owner, nor its agent nor the law has authorized the use of the material in the manner complained of; and (6) a statement that the information in the notification is accurate, and under penalty of perjury, that the complaining party is authorized to act on behalf of the owner of an exclusive right that is allegedly infringed. In order to facilitate communications between you and Dream On Me, this Website offers you the ability to contact us. Although we strive to protect and secure our online communications, and use the security measures detailed in our Privacy Notice to protect your information, please note that no data transmitted over the Internet can be guaranteed to be completely secure and no security measures are perfect or impenetrable. Dream On Me shall have no liability whatsoever for any unaccepted or unprocessed email instructions or requests, or for any loss or damage arising from or in connection with any unauthorized use by third parties of any information that you send by email. If you would like to transmit sensitive information to us, please contact us to arrange a more secure means of communication. Dream On Me cannot and does not guarantee or warrant that the materials contained on this Website will be free of viruses, worms or other code or related hazards that may have destructive properties (collectively “viruses”). It is your responsibility to ensure that you have sufficient procedures, firewalls, checkpoints, and safeguards within your computer system to satisfy your particular requirements to protect against viruses. Dream On Me does not assume any responsibility or risk for your use of the Internet, nor does Dream On Me assume any responsibility for any products or services or hyperlinks to third parties. DREAM ON ME DOES NOT WARRANT THAT THE FUNCTIONS OR CONTENT CONTAINED IN THIS WEBSITE WILL BE UNINTERRUPTED OR ERROR-FREE. YOU AND NOT DREAM ON ME ASSUMES THE COST OF ALL NECESSARY SERVICING, REPAIR, OR CORRECTION IN THE EVENT THAT THERE IS ANY LOSS OR DAMAGE ARISING FROM OR IN CONNECTION WITH THE USE OF THIS WEBSITE OR ITS CONTENT. DREAM ON ME DOES NOT WARRANT OR MAKE ANY REPRESENTATION WHATSOEVER REGARDING USE, OR THE RESULT OF USE, OF THE CONTENT OF THIS WEBSITE RELATED TO ACCURACY, RELIABILITY OR OTHERWISE. THE CONTENT OF THIS WEBSITE MAY INCLUDE ERRORS (INCLUDING, WITHOUT LIMITATION, TECHNICAL OR TYPOGRAPHICAL ERRORS), AND DREAM ON ME MAY MAKE CHANGES OR IMPROVEMENTS TO THIS WEBSITE AT ANY TIME. NEITHER DREAM ON ME NOR ANY OTHER PERSON OR ENTITY ASSOCIATED WITH THE DESIGN OR MAINTENANCE OF THIS WEBSITE SHALL BE HELD LIABLE OR RESPONSIBLE IN ANY WAY FOR ANY DAMAGE, LOSS, INJURY, OR MALFUNCTION ASSOCIATED WITH YOUR USE OF THIS WEBSITE. IN NO EVENT SHALL DREAM ON ME AND ITS SUBSIDIARIES, AFFILIATES, RELATED COMPANIES, SUPPLIERS, ADVERTISERS, SPONSORS, THIRD PARTY SERVICE PROVIDERS, AND THEIR RESPECTIVE EMPLOYEES, OFFICERS, DIRECTORS, AND AGENTS BE LIABLE FOR ANY INCIDENTAL, CONSEQUENTIAL, PUNITIVE, INDIRECT OR SPECIAL DAMAGES, (INCLUDING LOST PROFITS AND DAMAGES OR VIRUSES THAT MAY INFECT YOUR COMPUTER EQUIPMENT ON ACCOUNT OF YOUR ACCESS TO, USE OF, BROWSING, OR DOWNLOADING OF ANY MATERIALS, DATA TEXT, IMAGES, VIDEO OR AUDIO FROM THE WEBSITE) WHETHER BASED ON WARRANTY, CONTRACT, TORT, OR ANY OTHER LEGAL THEORY, AND WHETHER OR NOT DREAM ON ME IS ADVISED OF THE POSSIBILITY OF SUCH DAMAGES. BECAUSE SOME STATES OR JURISDICTIONS DO NOT ALLOW THE EXCLUSION OR LIMITATION OF LIABILITY FOR CONSEQUENTIAL OR INCIDENTAL DAMAGES, THE LIMITATIONS SET FORTH IN THIS PARAGRAPH MAY NOT APPLY TO YOU. IF THE FOREGOING LIMITATIONS ARE HELD INAPPLICABLE OR UNENFORCEABLE FOR ANY REASON, THEN THE MAXIMUM LIABILITY OF DREAM ON ME TO YOU FOR ANY TYPE OF DAMAGES SHALL BE LIMITED TO THE GREATER OF THE ACTUAL AMOUNT PAID BY YOU FOR ANY SERVICES OFFERED ON THE WEBSITE OR U.S. $100.00. You, on behalf of your successors, assigns, heirs, and personal representatives hereby irrevocably and fully release Dream On Me and each of its officers, directors, employees, assigns, agents and representatives from and against any and all suits, claims, actions, causes of action, arbitration, liabilities, obligations, damages, losses, penalties or fines known or unknown, arising out of or in connection with (1) your use of this Website or (2) the use of any information accessed by you from this Website.